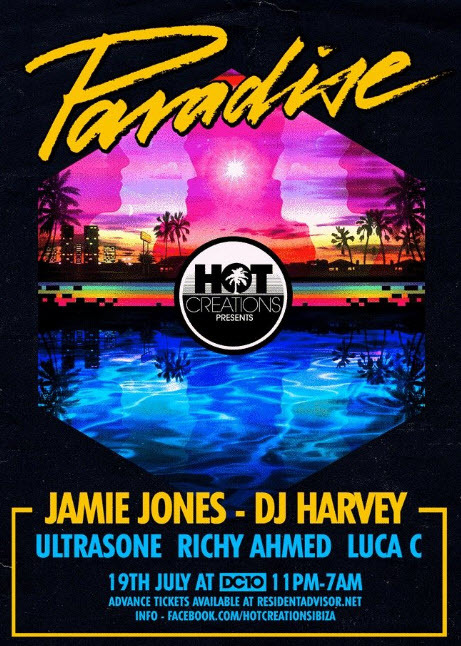 Label Head Vernon Bara will make his debut performance under his Ultrasone pseudonyme at the celebrated DC10 this thursday 1for Jamie Jones residency Paradise. DJ Harvey, Luca C, and of course, resident Jamie Jones will join him on the on the terrasse for this night time party. This entry was posted on Thursday, July 19th, 2012 at 6:16 pm	and posted in Uncategorized. You can follow any responses to this entry through the RSS 2.0 feed.